And what was the result of this tinkering? An increased amount of CO2 in cells, which ramped up nutrient-producing photosynthesis by about 20% (thanks to suppressing photorespiration by up to 31%)! As a result, the rice plants the researchers were working with grew taller and greener, and their starch grain size doubled. In other words: that’s more food out of one plant! Why rice is such an important food crop? White rice is a good source for magnesium, phosphorus, manganese, selenium, iron, folic acid, thiamine and niacin, so it’s not surprising that it’s the primary food source for 2 billion people. But, as the global population grows, so does the challenge to increase the nutritional content of rice. Biofortification is one way to achieve this. One example is Golden Rice, which is enriched in provitamin A, the precursor of vitamin A. Since vitamin A deficiency is a public health problem in more than half of all countries, promoting Golden Rice consumption could help solve the problem. 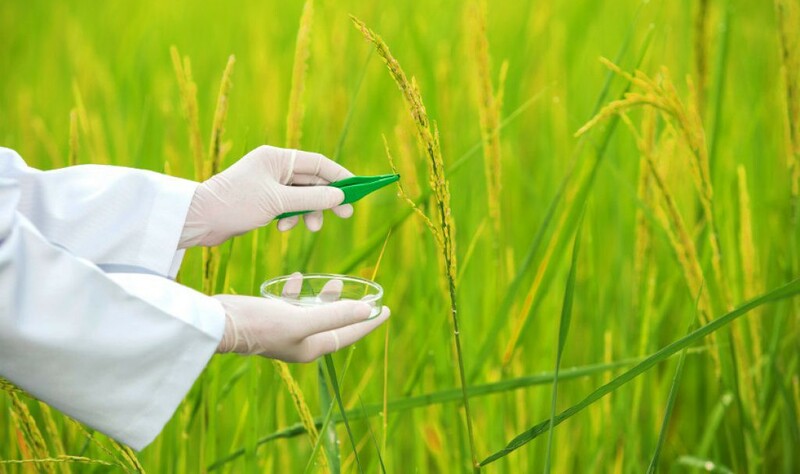 Boosting yields via increased CO2 levels however poses new problems: recent studies showed that rice produced this way had lower concentrations of protein and key nutrients, so the challenge now is to produce more efficient rice plants and safeguard their nutritional value.